This new client to EJM discussed their project at length with us. 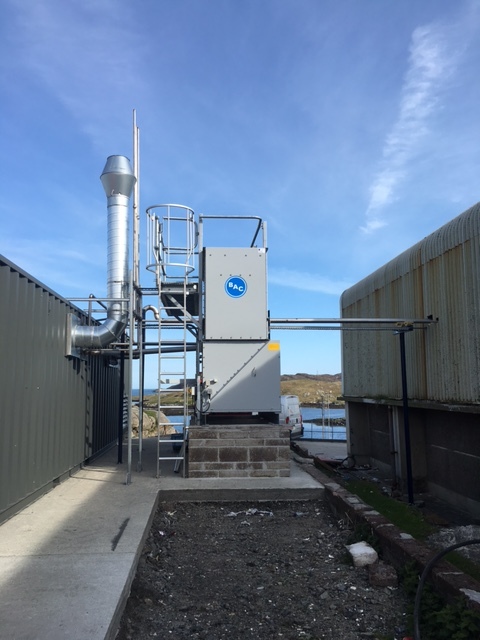 The client already had an existing ammonia plant, which was used for freezing in the continuous processing of langoustine tails. 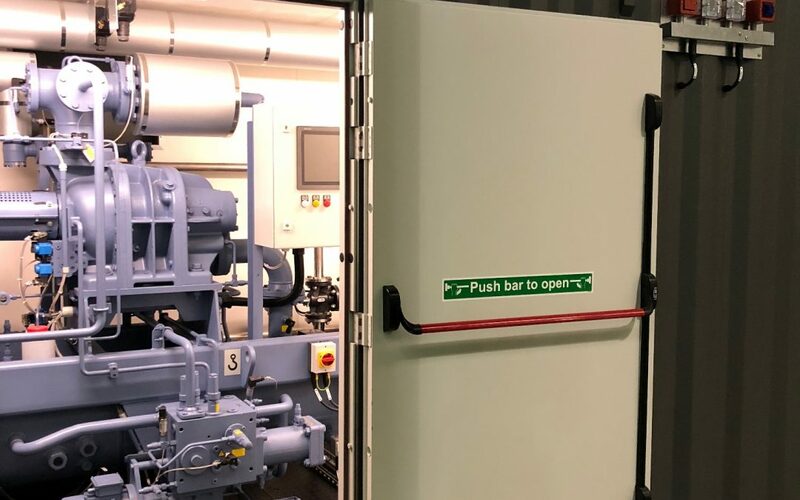 During the course of discussions, it was found the current plant did not meet strict legislation and ideally was not fit for purpose, requiring a replacement. 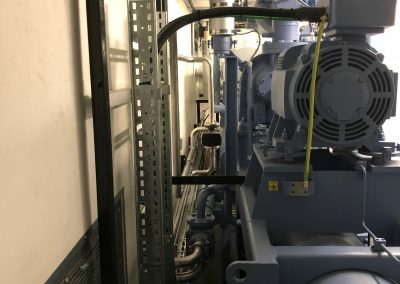 Through consultation they realised with the process equipment and the refrigeration plant being unreliable, the most cost-effective answer was to replace the entire system. 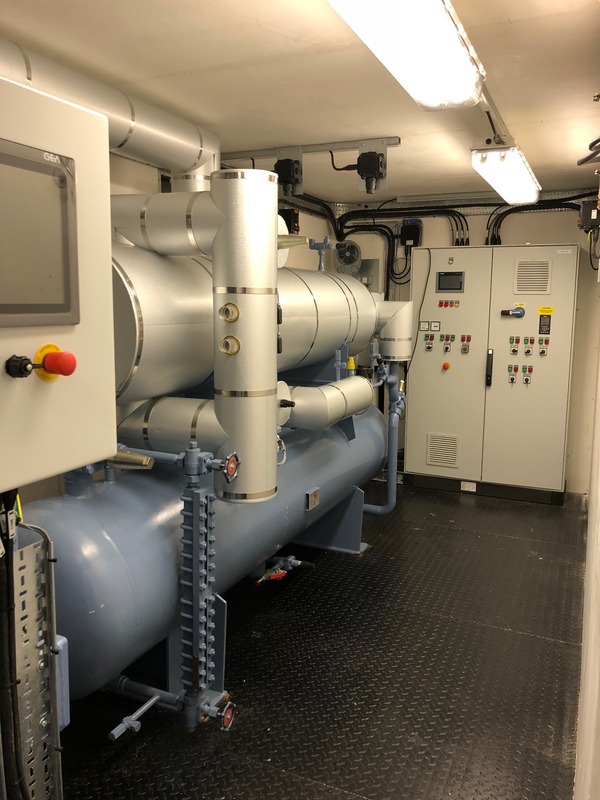 EJM was subsequently employed to undertake the project and provide a new ultra-low temperature ammonia plant, that was to be coupled to JBT spiral freezer. 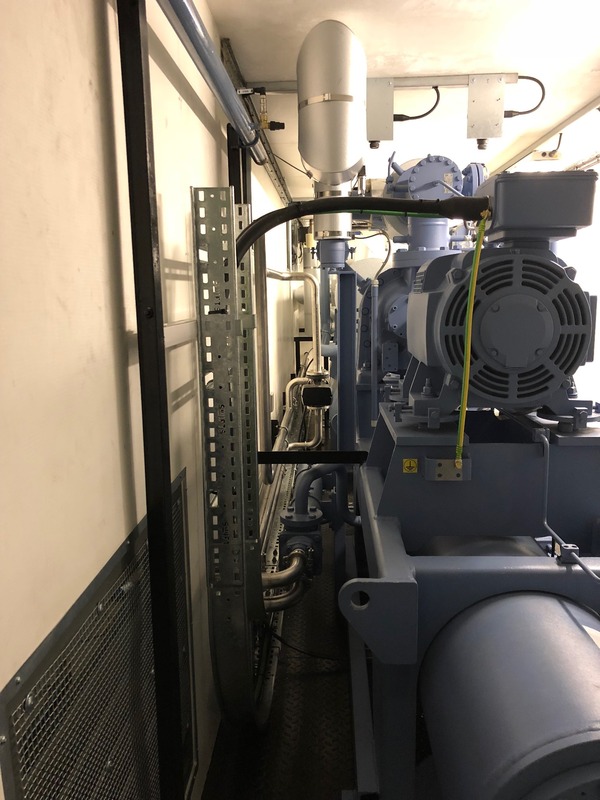 Whilst the project took place the client had a requirement to keep the existing equipment in full operation during the period of installation. They did not want to lose any production time, which would have of course resulted in reduced or lost revenue. 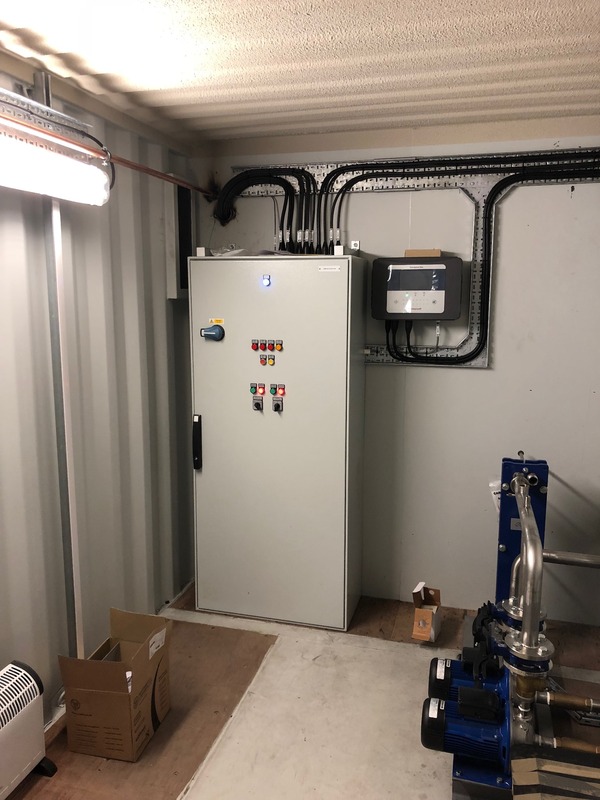 This gave the team a huge logistical challenge, as the existing plant room was full and they had had no space for new equipment to be installed. Additionally, the current equipment did not meet EN:378 refrigeration safety and the ATEX/DSEAR directive. 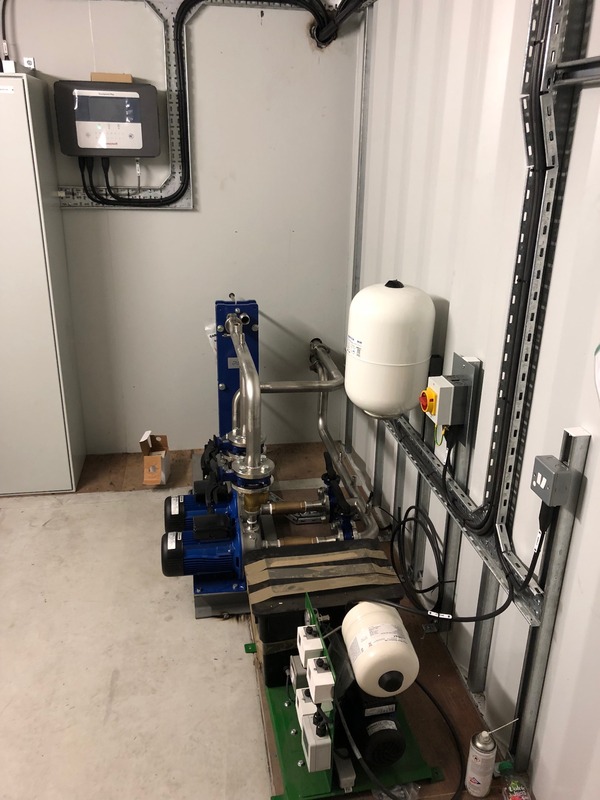 After very careful consideration our solution was to fully construct a bespoke plant room in our Derby premises, which would be complete as practically possible, allowing for minimal on-site installation, at the client’s production premises on the Island. 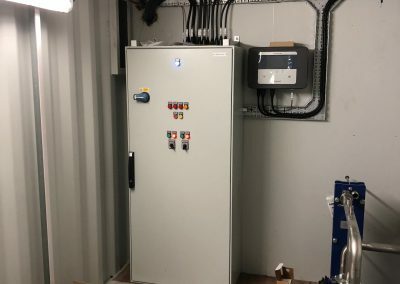 The entire plant room was carefully designed utilising a 40-foot shipping container, which would be modified to suit a satisfactory layout, but at the same time complying with all the required legislation. This innovative design would allow EJM to consider access, ventilation, emergency egress, and full serviceability. It would also have the added bonus of protecting against the harsh environment of the West Coast weather system. 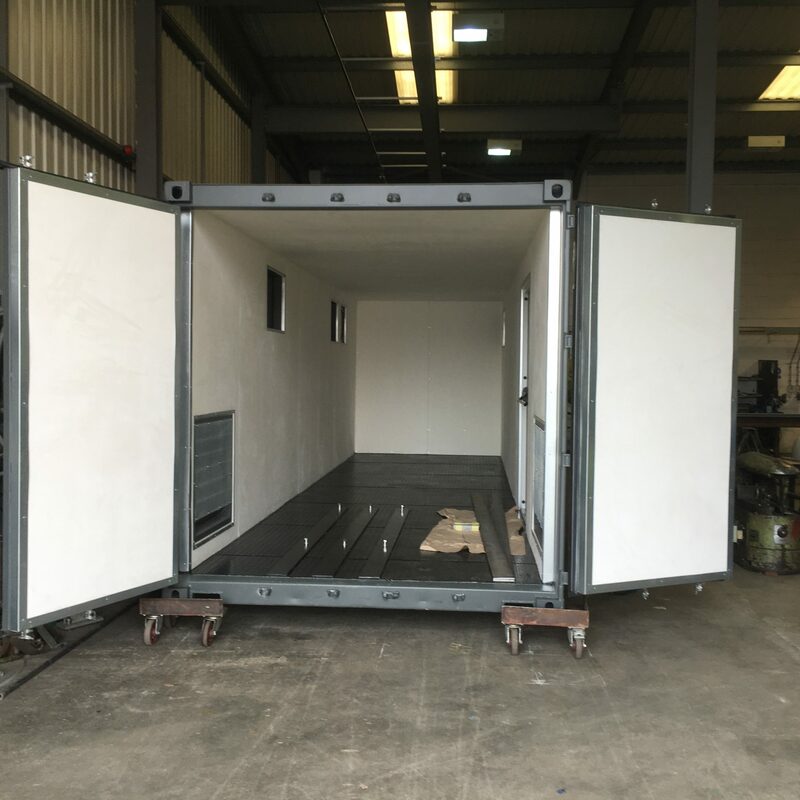 The standard containerised plant room was modified to our specifications to ensure that there were adequate floor supports and fixings. 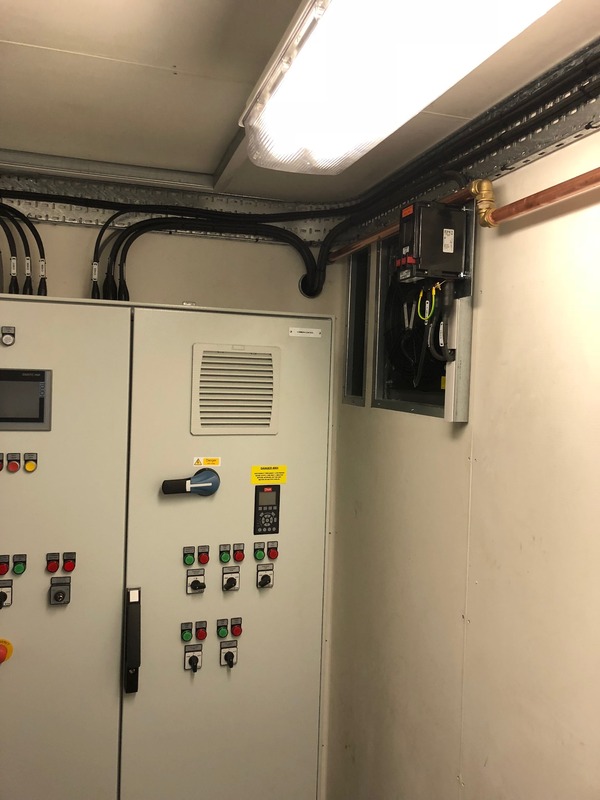 A bulkhead to create a separate section allowing the housing of leak detection equipment was also installed, along with critical items to meet the EN:378 requirements. 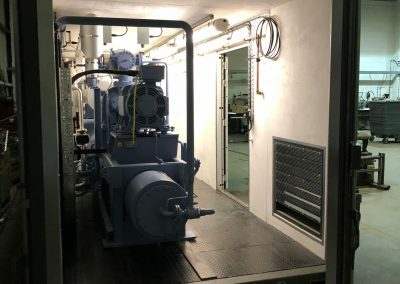 Following completion of the modification, the plant room was then pressure tested, with insurers present to witness its safety. 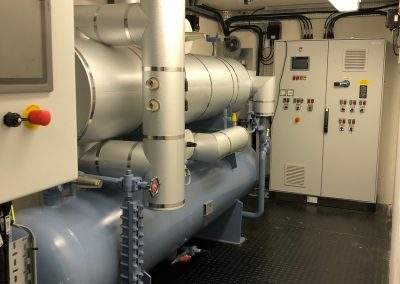 Once everyone was satisfied, it could allow us to install the pipework and vessel insulation. 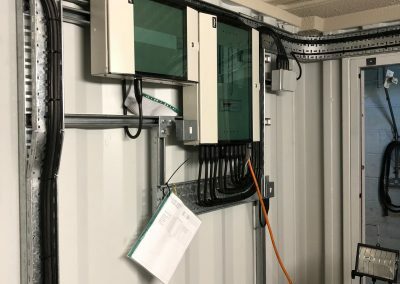 Every electrical item was installed, including the control panels and package unit wiring. 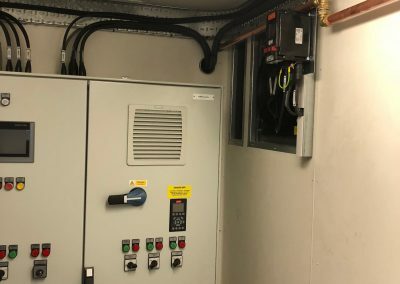 Although we could not electrically run the large motors, a temporary power supply into the unit allowed us to functionally test the control PLC of the plant. 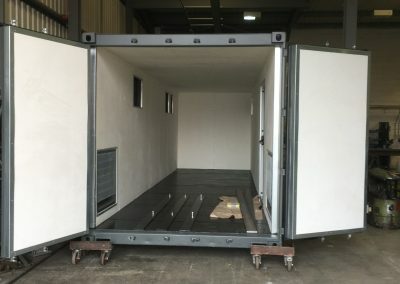 One factor we needed to overcome was the delivery of the container to the Outer Hebrides. 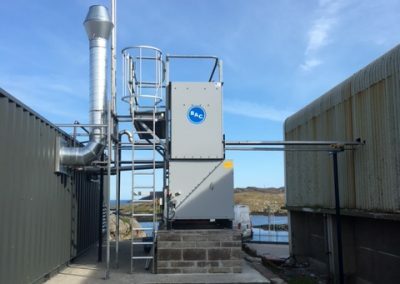 Our solution was to employ a specialist company for remote deliveries, and then organised for a certified lifting company to travel from the Scottish mainland over to the Island, complete with a large crane. 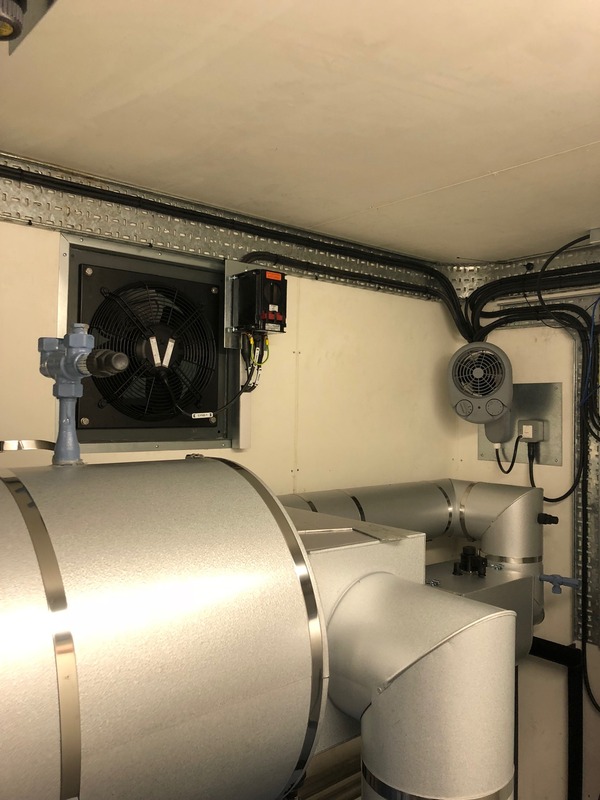 Once on site and whilst the existing plant was still in operation, our team of engineers then installed interconnecting pipework and wiring to a stand-alone condenser and to the new JBT freezer, which was located in another part of the factory. 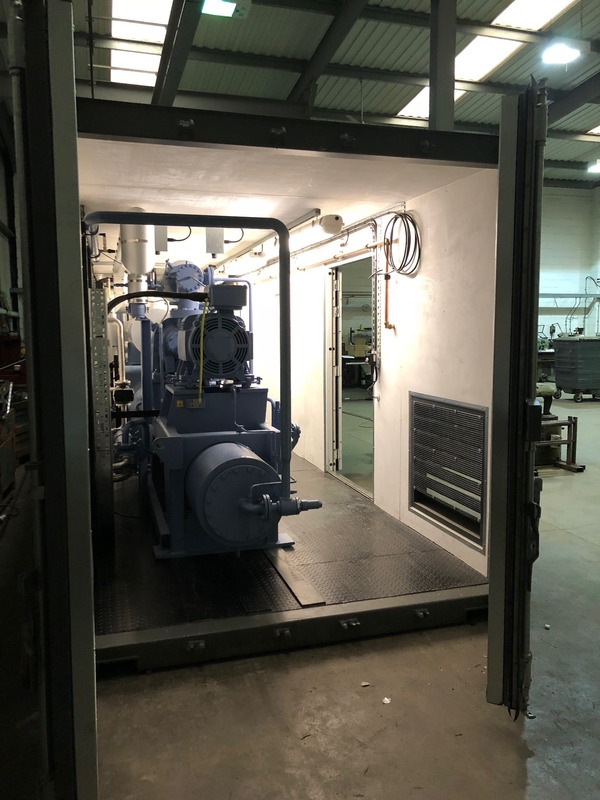 Following the completion of all installation works, the unit and plant were signed off on a final inspection by British Engineering Services. The plant was then fully commissioned and launched into production. 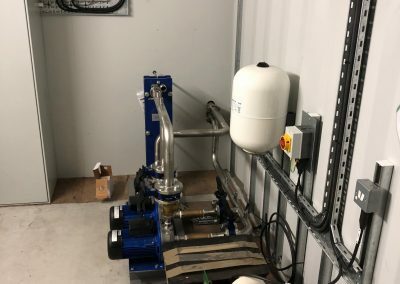 During the installation of the plant, no loss of production was witnessed. The efficiency of the new system also allowed the client to increase product output, above the level that was first envisaged. 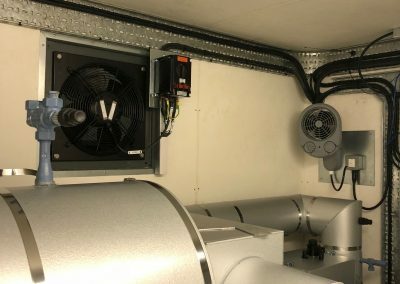 This design of a containerised plant room was unique to the team at EJM, it is certainly not something that can be bought ‘off-the-shelf’. 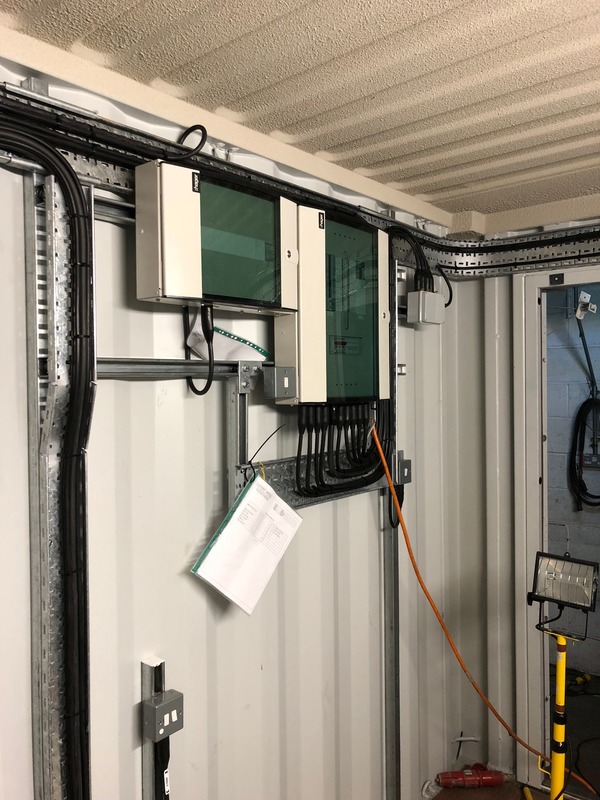 EJM’s innovative solution matched the clients brief exactly, and they only needed a flat concrete base to position the container, along with a mains power supply into the control panel.